Welcome to RNVB (Russian National Visa Bureau) – We are a daughter company of the PDC foundation, approved by the Russian Chamber of Commerce and Industry of the Russian Federation in the Netherlands. 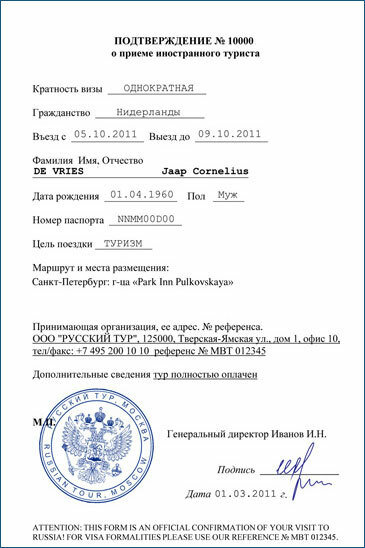 RNVB was founded in 2003 to provide visa services for some of the largest Dutch companies working in the Russian Federation. We also provide visa services for middle-small business representatives and private customers. A business visa is a document needed for people who want to visit Russia for business-trips. If you need a business visa, our agency would gladly help you obtain this document. We will inform you about the Russian Consulate’s requirements, will make sure you fill in your paperwork correctly and, if needed, will provide you with any missing documents. 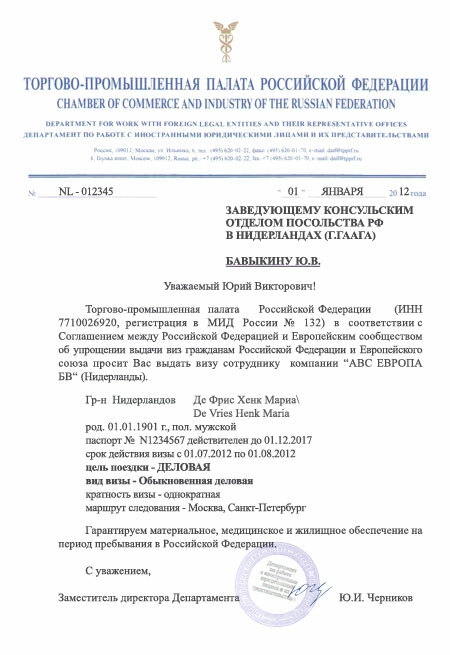 If needed, we can provide you with a business invitation/ all business invitations are issued through the Chamber of Commerce of the Russian Federation. Our employees will personally bring your documents to the Consulate. You can be certain that with us, your business visa will be ready within the shortest time! We work competently, efficiently and responsibly. You can always contact one of our specialists by phone. With RNVB, applying for a business visa is an easy and pleasant procedure! Health- or travel insurance with coverage in the Russian Federation or the World (must be indicated on document). A Tourist visa is a document needed for people who want to visit Russia as tourists. The maximum validity of this visa is 30 calendar days. A Tourist visa can be issued as a one-entry, or a double-entry visa. A Tourist invitation is issued on the letterhead of the travel agent, confirmed by a seal and signature. In most cases of applying for a Russian visa, a copy of this invitation will suffice. In some cases, the Consulate may request the original. The Consulate can also request the following documents: Copies of flight-tickets, hotel reservations, programme of your stay, etc. In order to quickly arrange a Tourist visa for Russia, you simply have to use our visa services. Even if you don’t have an invitation, we will automatically arrange one for you. two types of transit visa: one-entry and double-entry. An invitation is not required when applying for a transit visa. Transit visas are issued on the basis of shown flight-/train tickets and a valid visa to the country of final destination (if required). The presence of an entry visa to the neighbouring state is not required for citizens of this state, as well as to citizens of countries eligible for visa-free travel to neighbouring countries in accordance with existing agreements between the countries. Transit visas are issued for a period necessary for transit through the territory of the Russian Federation, or for transit-flights, in accordance with the tickets and the right to stop at the point of transfer for no more than three days. The calculation time for transit vehicles is determined by dividing the distance between points of entry and exit to the daily mileage of 500 kilometres. A transit visa is not required for a stay not exceeding 24 hours in the international zone of the Russian airport, to transfer to another plane. If you are unable to meet these conditions, we recommend you to apply for a regular tourist visa. those who are visiting a Russian citizen. A Private visa is a special kind of visa, made on the basis of an invitation that is issued after the personal request of a Russian citizen, or a foreigner with a Russian residency permit. 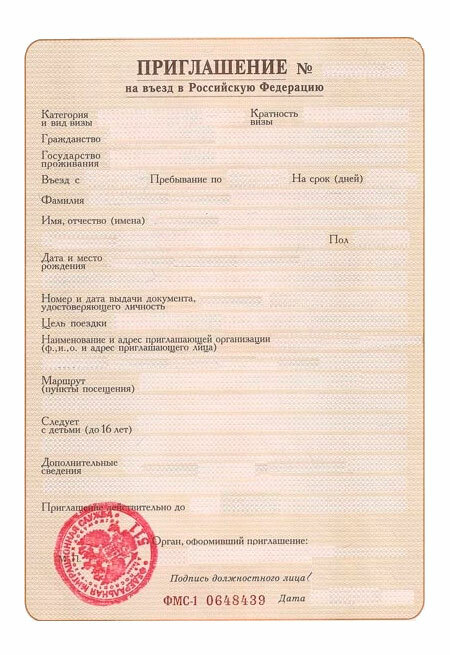 A Private-(guest) invitation is issued on the letterhead of the Federal Migration Service (FMS). In this case the inviter must apply in person and provide evidence that he/she is able to provide normal living conditions for the guest during the entire time the guest spends in Russia. The period of validity of this visa is maximum three months. Health- or travel insurance with coverage in the Russian Federation or the world (has to be stated so on the insurance paper). From March 12, 2010, spouses and minor children of Russian citizens legally residing in the Netherlands travelling to Russia together with their Russian relative can get a private visa on the basis of a facilitated procedure. 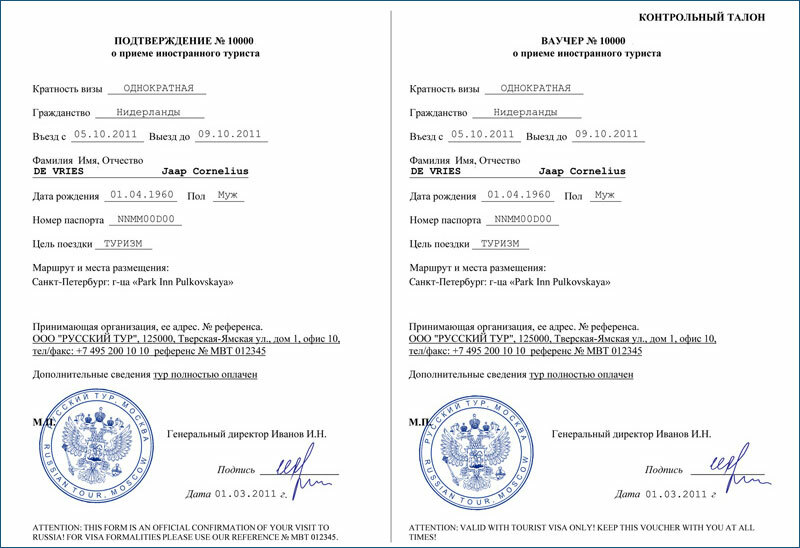 In this case, a standard private invitation issued by the Russian Federal Migration Service is not required anymore. Here you can find detailed information about this regulation. for a period up to one month to tourists entering the territory of the Russian Federation as part of an organized tourist-travel program. The group size should be at least 7 people. A tourist group visa can be single-entry, which allows foreign citizens to cross the Russian border once at their arrival and once at departure, and double-entry, allowing to enter and to leave the Russian Federation twice. A group of foreign travelers, who come to Russia as tourists, must have a contract for the provision of tourist services and the proof of admission from the provider of tour operator activities. Group visas give a great opportunity for tourists to save money on their trip to Russia. At RNVB you will receive an official invitation and the visa itself at a significant discount. visit Russia to participate in exhibitions and conferences. We realize that the decision to participate in any taken exhibition or conference is often delayed until the last moment. Our office can, in these cases, with the support of the Chamber of Commerce and Industry of the Russian Federation, prepare documents to issue an immediate entry visa to Russia in accordance with the requirements of the Consular Department. 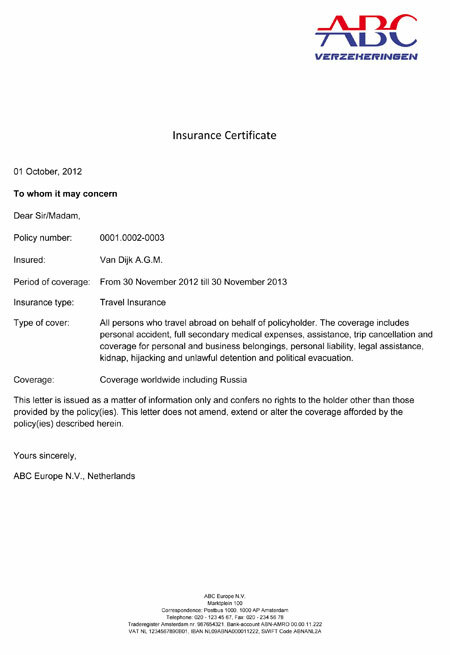 Health- or travel insurance with coverage in the Russian Federation or the World (must be indicated on insurance paper). 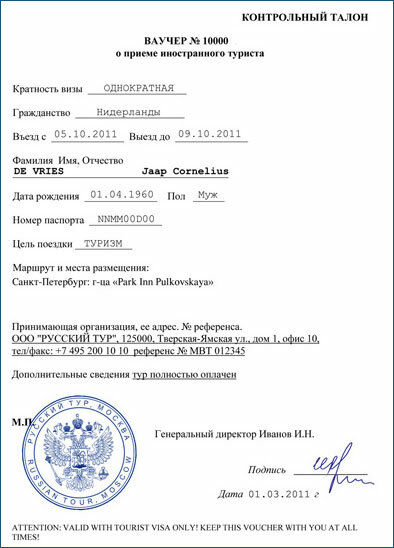 editorial duties, etc., are made on the basis of the following documents: 1) an original Press card, issued by a professional organization proving that the applicant is a qualified journalist and 2) the appeal of organization to the Consular Section of the Embassy of the Russian Federation with a request to issue a visa for the journalist, with an explanation of the editorial mission. Health-/or insurance policy with coverage in the Russian Federation or the world (must be specified on the insurance paper). g) Visas for participants in official exchange programs organized by twin cities. For more information about how to obtain special visas, please contact our office.